In my previous post shared some advice from Randy Krum, author of Cool Infographics, about creating infographics. In his book Randy devotes a chapter to design tools. Many of the tools used by professional designers cost hundreds or thousands of dollars. But you don't have to spend anything if you want your students to try their hands at creating a data visualization in the form of an infographic. Here are five free tools that your students can use to create infographics. Infogr.am is an online tool for creating interactive charts, graphs, and interactive infographic posters. There are four basic chart types that you can create on Infogr.am; bar, pie, line, and matrix. Each chart type can be edited to use any spreadsheet information that you want to upload to your Infogr.am account. The information in that spreadsheet will be displayed in your customized chart. When you place your cursor over your completed chart the spreadsheet information will appear in small pop-up window. Infogr.am infographics can include videos and maps along with pictures and text. Your Infogr.am projects can be embedded into your blog, website, or wiki. Easel.ly provides a canvas on which you can build your own infographic by dragging and dropping pre-made design elements. You can use a blank canvas or build upon one of Easel.ly's themes. If Easel.ly doesn't have enough pre-made elements for you, you can upload your own graphics to include in your infographic. Your completed infographic can be exported and saved as PNG, JPG, PDG, and SVG files. Piktochart provides seven free infographic templates. Each template can be customized by changing the colors, fonts, icons, and charts on each template. If you need more space on the template, you can add more fields at the bottom of the templates. If you need less space, you can remove fields from the templates. EWC Presenter is a new tool from Easy Web Content (a website creation and hosting service). EWC Presenter makes it easy to create slideshows, banner graphics, and interactive infographics. The slideshow creator and banner graphic creator don't stand-out from other tools like them. The EWC Presenter's infographic animation option is worth noting. EWC Presenter's infographic tool allows you to animate elements within your infographic. And as was featured in a post early this month, EWC Presenter infographics support audio files. Canva is a service that makes it easy to create beautiful slides, flyers, posters, infographics, and photo collages. Creating these graphics on Canva is a drag-and-drop process. Start by selecting a template then dragging and dropping into place background designs, pictures, clip art, and text boxes. Canva offers a huge library of clip art and photographs to use in your designs. You can also upload your own images to use in your graphics. 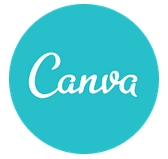 Your completed Canva projects can be downloaded as PDF and PNG files. You can also simply link to your online graphic.